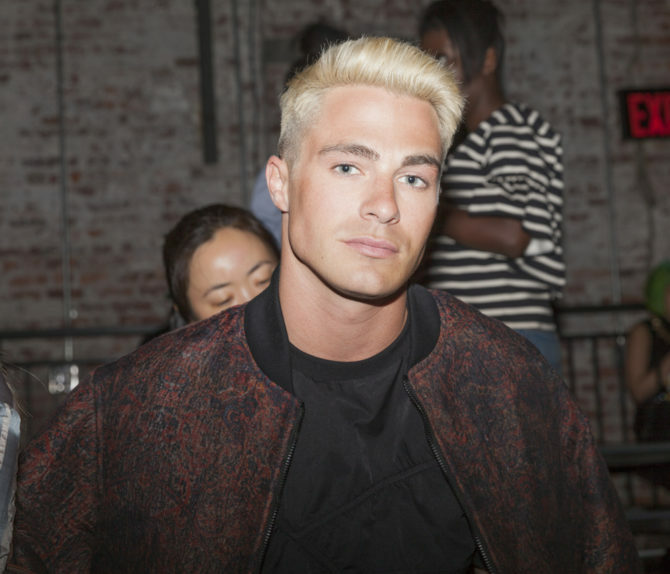 To recognize World Mental Health Day, Colton Haynes decided to reveal details about his own personal struggle with depression and anxiety. “This is a photo I took of myself about a month ago when I had reached a point where I had no idea what to do. I had been in bed crying/paralyzed for 3 wks with no explanation. My personal life & career were at an all time high. Today is #WorldMentalHealthDay . This is a photo I took of myself about a month ago when I had reached a point where I had no idea what to do. I had been in bed crying/paralyzed for 3 wks with no explanation. My personal life & career were at an all time high. I've talked about this before but I can't stress enough how important it is to seek help when your feeling down or in your darkest moments. I've struggled with Anxiety & Depression since I was in the 5th grade & it's not something that should go untreated or uncared for. I know a lot of people don't understand mental illness & pass it off as ppl being dramatic…but it's a chemical Imbalance that no one wants to struggle through. It's not easy. So let's all take a second to reach out to those in need of help & those who just need someone to talk to or some encouragement. A little love goes a long way. My heart is with my fellow survivors & ppl struggling through this disease…you aren't alone. ?????? Earlier this year, he thanked openly gay producers Ryan Murphy, Greg Berlanti, and Jeff Davis for recognizing that “gay actors are more than just their personal lives”. I too have suffered this chemical in-balance for over 40 years, it never goes away even with medication although medication does help! Your ball have to have drop to be a gay man , It’s a never ending struggle.